Find Sophie la girafe and her friends Lazare the Cat, Gabin the Bear and Joséphine the Mouse, ready to tell each other lots of stories and developing the imagination. 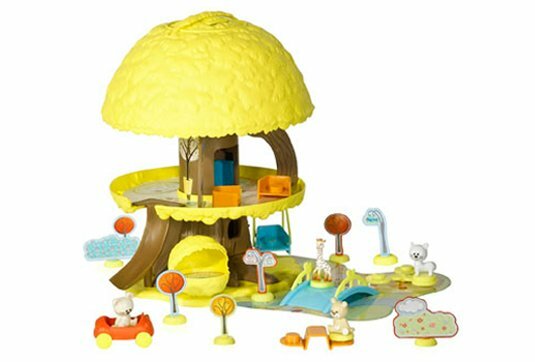 There's a bit of everything in Sophie la girafe's Tree: a kitchen, living room, bathroom, bedroom, garage and park with a turntable to develop the imagination and to reproduce scenes from everyday life. For storage, the tree folds up again in the blink of an eye and is easy to transport using its built-in handle.